Grab your camera, sunglasses, wood JORD watch, favorite book and cocktail mix! 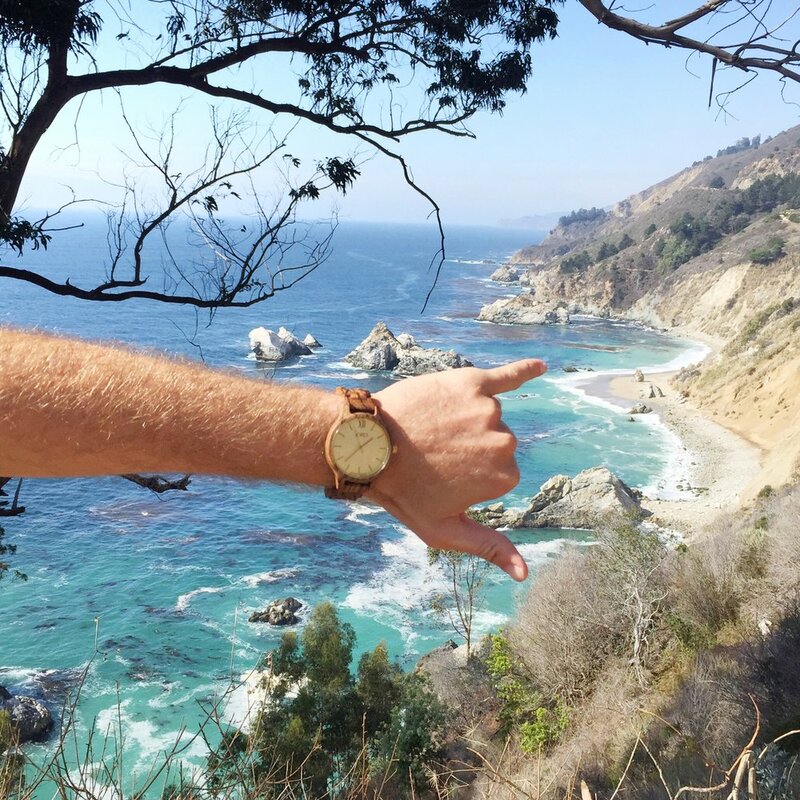 It's time for the most epic pre-wedding adventure in Big Sur. This bachelor / bachelorette destination is one of the most beautiful sites along the coast of California. Jump in the car with all of your groomsmen and spend the day exploring the breathtaking coastline, trekking through massive redwood forests and discovering unbelievable waterfalls . There are several campgrounds in Big Sur where you can set up tents, grill, drink beers and enjoy each others company. Our recommendations for camping locations are: Fernwood Resort, Kirk Creek, or Julia Pfeiffer Burns State Park. Make sure you book your campground early in advance because spots fill up quickly! Make sure to stop frequently to check out the rocky vistas & if above all else, post up on the side of the road to watch the sunset with a local glass of wine or beer. You are bound to lose track of time, but it will be hard to do so because JORD watches has got you covered. They make their watches for people who don't just have somewhere to be, they have somewhere to go. Whether it's a bachelor trip, down the aisle or your honeymoon, there is no time to waste - you've got to make the most of each day!